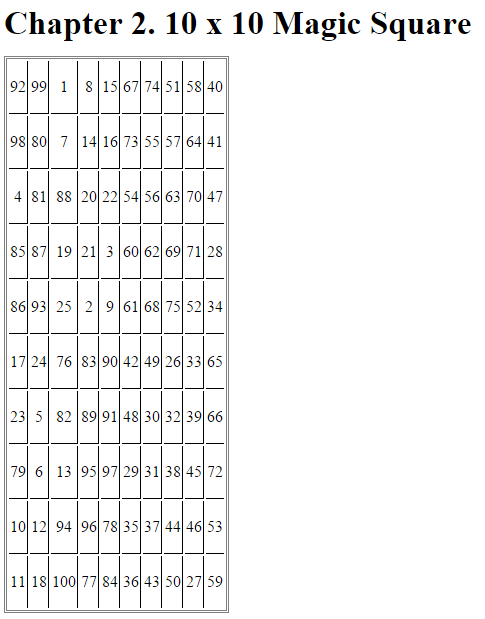 This example shows how to create a simple report that explains and illustrates magic squares – matrices whose columns, rows, and diagonals each add up to the same number (see the magic function reference in the MATLAB® documentation). The complete example code is included after the step-by-step instructions. To eliminate the need to use fully qualified names of Report and DOM API objects, use these statements. For example, instead of using mlreportgen.report.Report, you can use Report. Create the report object. Use 'magic' as its file name and 'html' as its report type. To customize properties that apply to the whole report, see mlreportgen.report.Report. Create a title page and specify its title, subtitle and author. Then, add the title page to the report. To customize additional title page properties, see mlreportgen.report.TitlePage. Add a default table of contents object to the report. To customize the table of contents, see mlreportgen.report.TableOfContents. Add a chapter and chapter sections. Create a chapter object for the introduction and specify the chapter title. Add a section, add a paragraph to that section, and add that section to the chapter. Create another section and add a paragraph to it. For information on customizing chapters and sections, see mlreportgen.report.Chapter and mlreportgen.report.Section respectively. 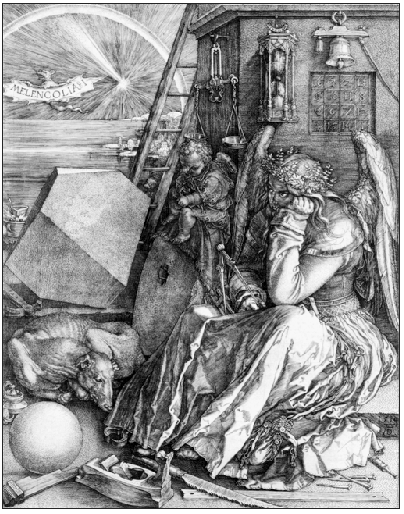 Create an image of Durer in a figure window. Create the image in a MATLAB figure. Add the figure to the second section of introduction chapter and then, add the chapter to the report. For more information on figures, see mlreportgen.report.Figure. For more information on images, see mlreportgen.report.FormalImage. Then, add the table to the chapter and the chapter to the report. For more information on tables, see mlreportgen.dom.Table. Add a MATLAB figure to a chapter. Add another chapter object and specify its title. 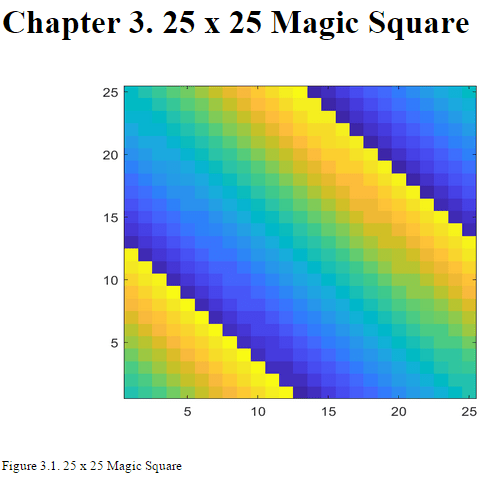 Specify the MATLAB code to create a 25-by-25 magic square and a color-coded figure of the magic square. Then, create a figure object and set its height, width, and caption. Add the figure to the chapter and the chapter to the report. For more information on figures, see mlreportgen.report.Figure. Close and run the report.